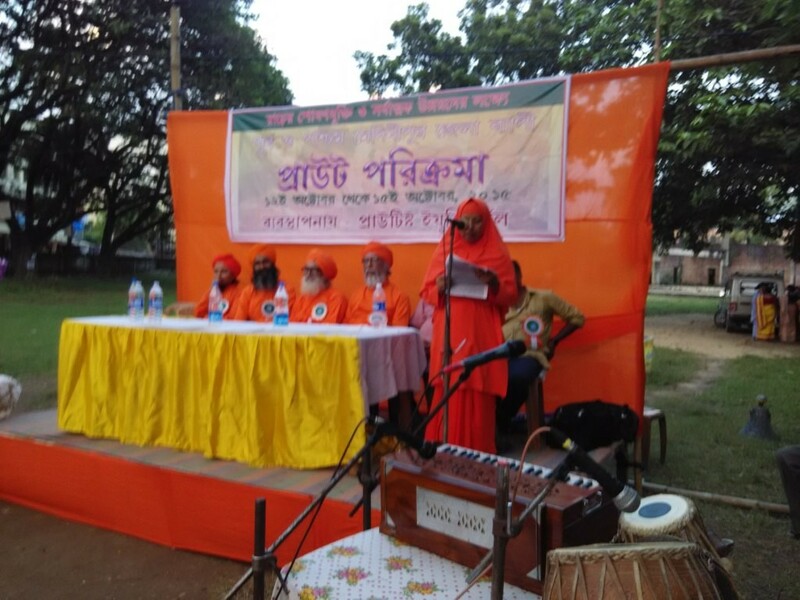 (PROUT Globe) – A four-day Prout Parikrama ("moving around") in Midnapur district of West Bengal was held to promote Prout in this significant cadre-producing district. 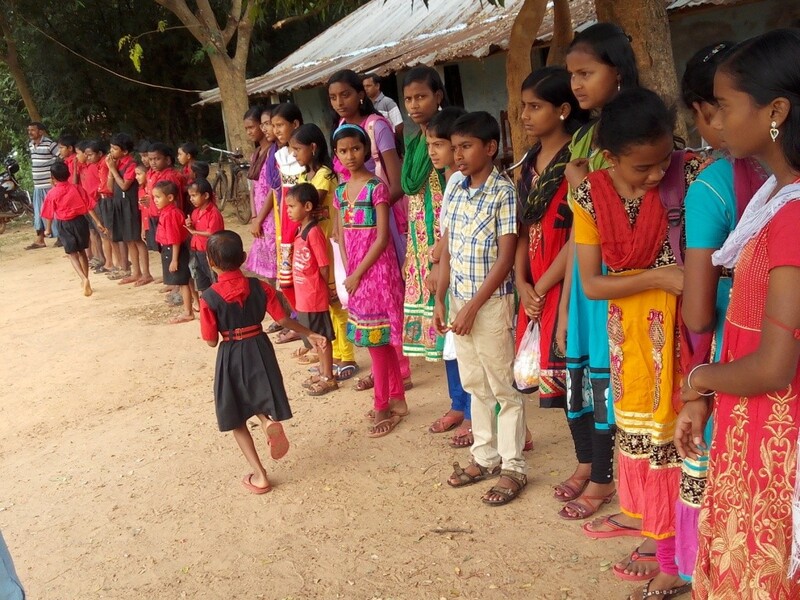 The Parikrama started on 12th October from the Kerani tala Ananda Marga School campus. A motorcade of five four-wheelers and a bus carrying Proutists were led by 30 motorcycles. More than 50.000 leaflets were distributed. 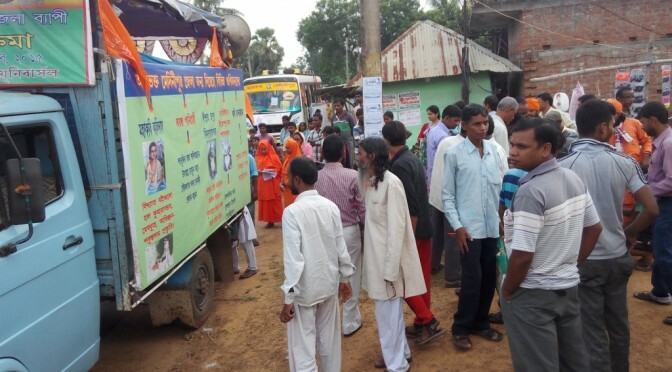 More than 130 proutists travelled together in this four-day Parikrama. 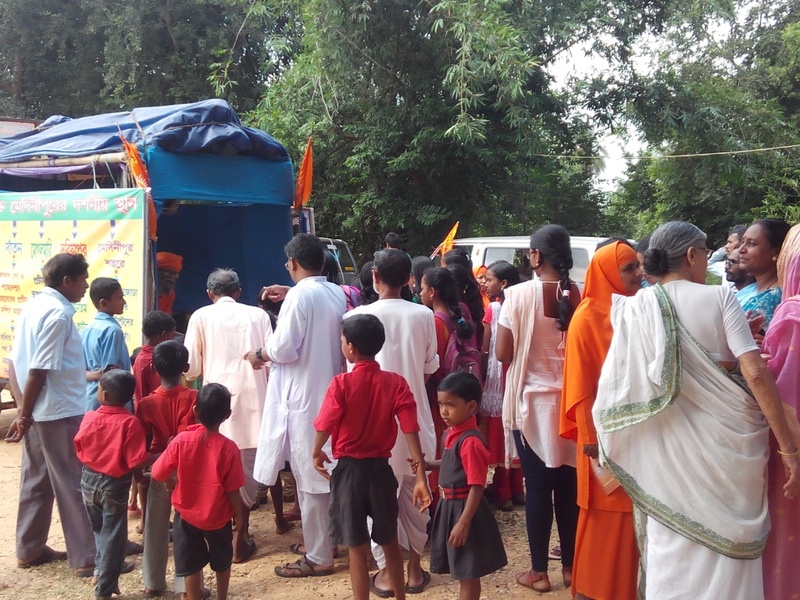 Shri Asit Dutta, Proutist Universal Bhukti Pradhan of Midnapur, led the Parikrama on its first day to Chandara village, Dhedua, Baita, Basantpur, Beltikri, Kurkutshol, Binpur, Belpahari and finally Shilda. A public meeting was held at every village. On the following day the Parikrama moved to Ergoda, Parihati, Dahijuri, Zargram town, Palaidanga, Kultikri, Kharipara, Kulbani and ended at Dvipa village. The most important meetings were held at Kharipara and Dvipa villages where proutists in the hundreds joined. 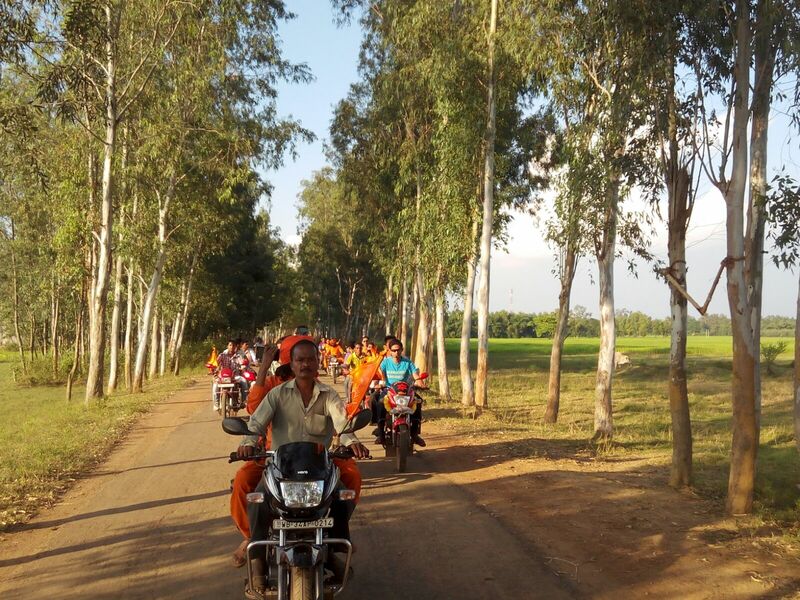 After staying overnight at Dvipa, the Parikrama moved to Keshiari, Hatigaria, Pratibandh, Khajra, Kharagpur town, Debra, Panshkura, Mechogram, Khukurdah, Dashpur, Ghatal, Khirpai town, Neradeul, Keshpur, Anandapur, Godapiashal, Shalbani, ending the day at Chandrakona Road. The most important meetings were held at Chandrakona Road and at Ghatal. On its final day the Parikrama moved on to Goaltor, Patashol, Kadoshol, Ramgarh, lalgarh, Pirakata and reached Midnapur early in the afternoon. The best response the Parikrama got was from Goaltor villagers who offered several acres of land to promote Potato farming according to the Proutist system of integrated farming. the local outfit of Proutist Universal Farmers Federation is now planning to take advantage of this offer and start farming in the area. 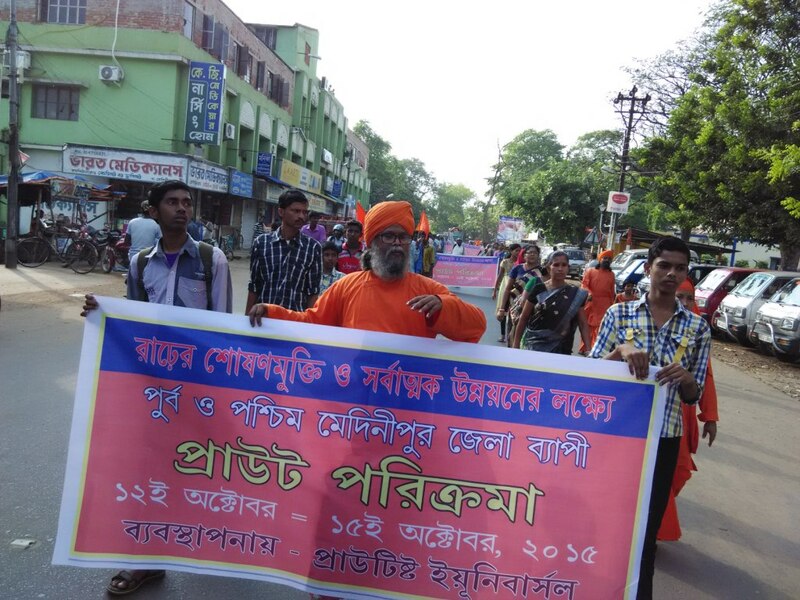 In Midnapur, a thousand Proutists joined the Parikrama and took out a procession that moved through the main thoroughfares of Midnapur. The rally converted into a public meeting at the Vidyasagar Institute. Main speakers included Ac. Raviishananda Avadhuta, Ac. Dhyaneshananda Avadhuta, Asim Das, Ac. Saomyashubhananda Avadhuta, Avadhutika A. Rupatiita and Asit Dutta. Rajiv Manna presented the Welcome speech. The Anandam Gosthi sang proutist songs from Prabhat Samgiita. Several hundreds non-proutists attended the meeting. In our socio-economic programme human beings have full liberty in the spiritual and mental spheres. This is possible because the spiritual and psychic entities for which human beings can aspire are themselves unlimited, and one person’s progress in this sphere does not hamper the progress of others in their quests.